The future of work is constantly evolving. Like it or not, technology remains a massive disruptor across industries. Change in the workplace is not only coming, it’s already here, and you want to make sure you’re on top of the skills that are rapidly shaping the jobs marketplace and are influencing your ability to remain relevant within your field. Even though cryptocurrency is by its nature intangible, the hype and frenzy around it has prompted venture capitalists to invest a fair amount of cold, hard cash into companies who are working on the development and integration of Blockchain, a distributed ledger platform (DTL) that verifies and records transactions, like with Bitcoin. According to CB Insights, a firm that predicts tech trends, since 2012, there have been more than 650 equity deals made with blockchain companies, investments totaling more than $2.1 billion. As of October 2017, 95 active VCs had at least one blockchain investment and be the end of the year, that number is expected to reach 120. Bitcoin has certainly captured notoriety and public fascination, and while one Bitcoin is currently equivalent to $7,759.98, it is the Blockchain technology that is being hailed as a game changer in the way we do things. Many businesses are still in the experimentation and testing stage on how to best use and integrate distributed ledger technology into their practices. What’s evident is that like with any rapidly growing technology, the skills related to building, maintaining and working with those systems are in short shrift, so possessing these skills will lead to more opportunities for work across a variety of industries, freelance or full-time. The Financial Times reports that blockchain related advertisements have tripled on LinkedIn over the past year. For companies on high alert, information security is in high demand. Cybersecurity is another valuable area where skills are urgently needed. Security breaches, such as the ones that have happened to Yahoo and Equifax, are growing increasingly commonplace, and consumers are demanding companies do a better job at their protection. Skills, such as penetration assessment, which comes in at number four on Upwork’s list of fasting growing skills, is how you test the vulnerability of a system’s infrastructure to potential hackers. The researchers cited the U.S. State of Cybercrime 2017 survey, which found that 36 percent of businesses reported being affected by a phishing attack in 2016, compared to 26 percent in 2015. “The Bureau of Labor Statistics says the rate of growth for jobs in information security for 2014 to 2024 is going to be at 18 percent, which is the fastest of all occupations,” notes Pearson. He explained that the most frequent use case that Upwork sees is when a company is testing out a specific cybersecurity issue that they know or suspect is occurring, and they are able to develop solutions and coverage at a much faster pace by accessing a market of freelancers, unhindered by the talents’ location. Every business is (or should be) using A.I. The study also cited that global spending on robotics is projected to more than double from $91.5 billion in 2016 to more than $188 billion in 2020. This means the skills in demand will be related to augmented reality and machine learning, thanks to A.I.’s broader adoption across industries, particularly in the automobile industry. These days, it’s become standard for businesses, from airlines to hotels to banks, to employ chatbots to provide 24/7 customer service. According to UBS, the A.I. industry is expected to rocket from a $5 billion in revenues in 2015 to more than double the revenue at $12.5 billion in 2020. Pearson noted that A.I. 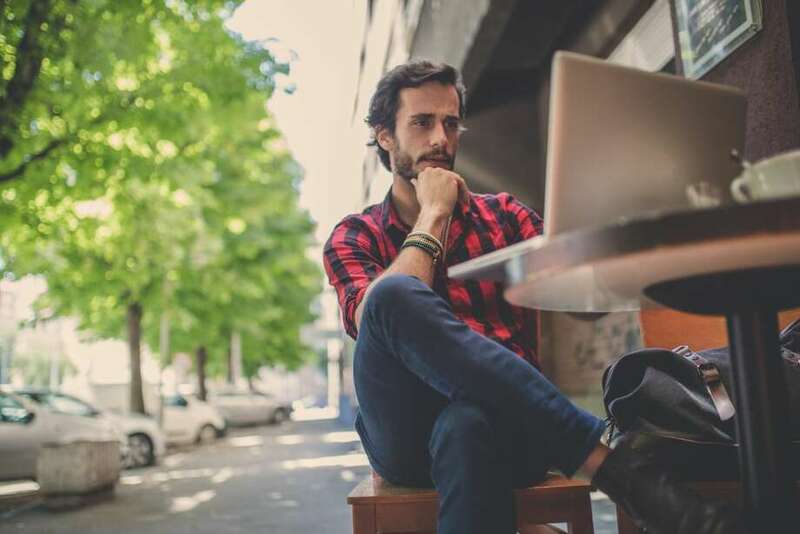 adoption is driving a demand for freelancers that have a facility with deep learning, natural language processing and machine learning skills. In particular, he says that those three experienced more than a 150 percent year-over-year growth in in the third quarter of the year. Skills like neural networks and image processing have also seen high growth. “A.I. [is] a way to look at different types of objects and identify them quickly, label them and then build a logic off of them,” explains Pearson. For anyone who wants to remain relevant in the job market, being a freelancer with a learning mindset is key, regardless of your field. The coding and programming skills being taught in universities today will be out of date a few years from now, so even the technology-minded are being challenged to keep updating their skills. Blockchain, AR and AI are all breaking new ground, but what technology really does is force us to be nimble. What new skills are you learning right now? Let us know in the comments.